Follow all the Latest News and Watch the First-Ever Open Face Chinese Poker World Championship Live! After a few months of touring the world poker circuit, the first-ever Tonybet Open Face Chinese poker World Championship High Roller event winner and a two-time US women’s chess champion, Jennifer Shahade just recently had a chance to catch up with some of the OFC action that took place in Prague back in December. Following in the footsteps of the Tonybet Poker OFC World Championship High Roller champion Jennifer Shahade, an the Tonybet Poker Team pro Pedro Marte, the WPT National Prague winner Alex Goulder published his own Open Face Chinese poker strategy videos featuring episodes from the OFC World Championship Main Event. TonyBet Poker keeps pampering its players with new games as the online poker site solely dedicated to Open Face Chinese released a new game this week, Progressive Pineapple. This follows the site’s strategy of expanding its OFC gaming supply as just a few weeks ago they have launched another new game, Pineapple 2-7. 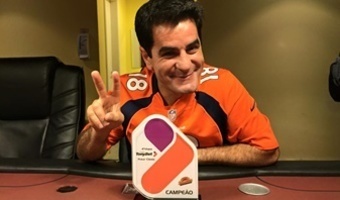 Live OFC Tournaments in São Paulo! Today I will talk about the next big thing that’s already happening in my country’s OFC community. You know I live in Brazil and it’s just amazing how Open Face Chinese has always been so popular here since its very first days and it is even more amazing to see where it is now. Tonybet Poker, an online Open Face Chinese Poker site, striving to become the industry leader in innovations, introduced a brand new Pineapple Deuce to Seven game variant this week expanding its variety of OFC games. Today I will talk about my good run in the Tonybet Poker promotion, the New Year’s Rally which I finished in second place, just a little behind ‘hrouda’. 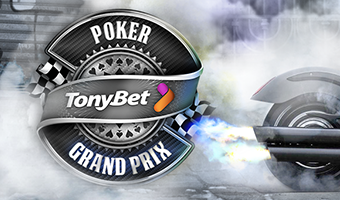 First of all, it’s really exciting to have leaderboards on Tonybet Poker, not only it increases the tournament prizes as the field grows larger but also rewards regularity with cash prizes for the ones who collect a good amount of points. With the record-breaking Tonybet Open Face Chinese Poker World Championship already in the books, we’re bringing you all the best moments from both the €10K High Roller and the €1 Main Event. We had a field of numerous notables at our live OFC Poker tables including the EPT Grand Final OFC event winner, EPT San Remo champion, and the owner of two WSOP bracelets Jason Mercier, WSOP Player of the Year George Danzer and others. It’s been a long and exciting run, but it’s finally over, the first-ever Open Face Chinese Poker World Championship has its winner. 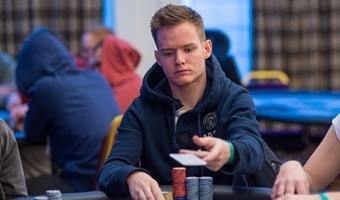 And it’s none other than Norway’s Mikal Blomlie, who outplayed the field of 102 runners, including his final table heads-up opponent Jan Hendrik Tapken. UK’s Gary Stone had the least chips coming into the final table and he wasn’t able to return. He was the first player to leave the three-handed play leaving Norway’s Mikal Blomlie and Germany’s Jan Hendrik Tapken heads up, both having almost the same amount of chips. 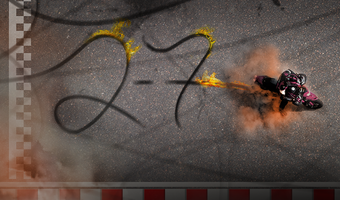 Stone will take home the cash prize of €12,750. The final three has already returned from the dinner break and are all seat for the last battle. While they were away we counted their chips and here’s what we got. The Final Table is Set! Ukraine's Oleg Udovenko becomes the unfortunate fourth-place finisher in the OFC Poker World Championship Main Event which means we're going to a three-handed final table featuring Jan Hendrik Tapken from Germany, Mikal Blomlie from Norway and Gary Stone from the United Kingdom. Udovenko will collect a cash prize of €9,425 for his fourth place finish. Four best remain at the Tonybet Open Face Chinese Poker World Championship Main Event with Germany's Jan Hendrik Tapken leading the field in chips with a stack of 1,480 million. We’re now in level 18 with points at 15,000. Here are the full counts. With the chip leader coming into Day 2 Nikita Nikolaev and Maxim Panyak out of the game, we’re down to four players at the OFC World Championship Main Event. Here’s how much the two earned. We just did the numbers and put down all the stats of the Open Face Chinese Poker World Championship Main Event. We had a total of 102 players to buy-in to the tournament, plus 33 re-entries making up for a total of 135 entries. 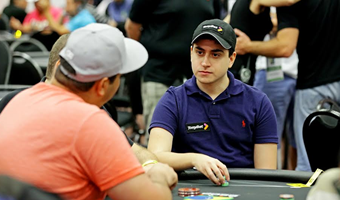 The most players at the tables represented Russia, with a total of 17 entrants.